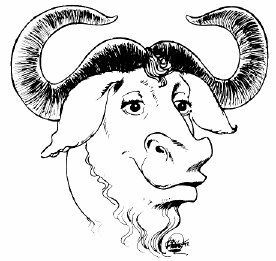 The individual GNU maintainers and contributors in these videos speak on behalf of their specific projects, and their stance does not necessarily reflect the official position of the FSF or the whole GNU Project. An address by Richard Stallman to Software Freedom Day events. Richard Stallman's speech: 1280p WebM (643MB), 480p Ogg/Theora (104MB). Full transcript, on Richard Stallman's blog. Description: Activities directed at "including" more people in the use of digital technology are predicated on the assumption that such inclusion is invariably a good thing. It appears so, when judged solely by immediate practical convenience. However, if we also judge in terms of human rights, whether digital inclusion is good or bad depends on what kind of digital world we are to be included in. If we wish to work towards digital inclusion as a goal, it behooves us to make sure it is the good kind. Organized by the University of Pennsylvania's STWing (Science and Technology Wing residential program) and the Dining Philosophers. A full audio version of the speech is available in the audio section. SubRip subtitles are also available. Transcriptions and SubRip subtitles are also available. Title: Software for Development: Is Free/Open Source Software the Answer? Ukrainian (by Samerhil, proofread by Андрій Бандура, CC BY-SA). Title: What Should it Mean to Promote Free Software?